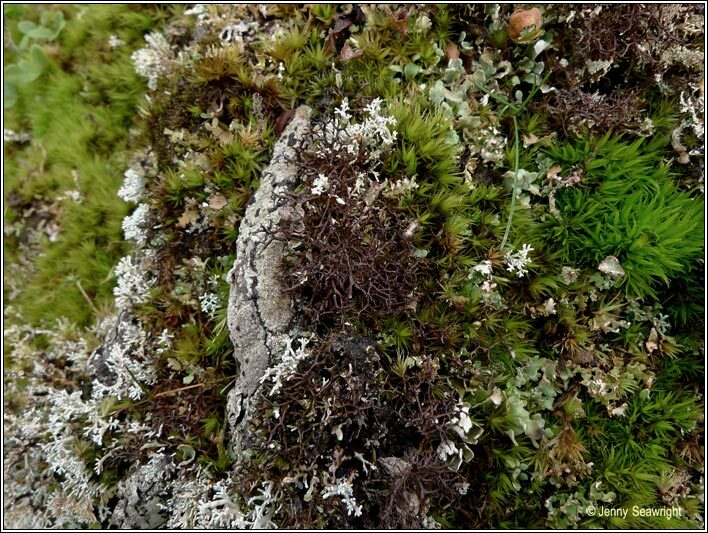 Photos: Among moss on upland rock. Ballingeary, Cork, SW Ireland. 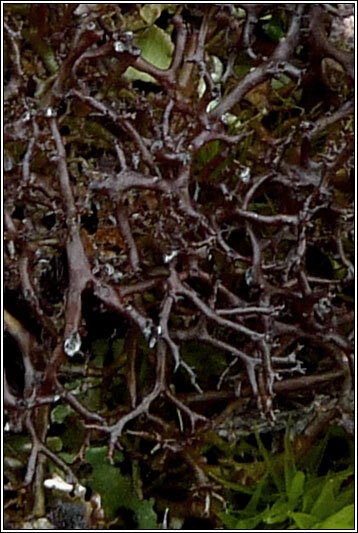 Loose clumps or interwoven mats of glossy chestnut to blackish-brown +/- flattened branches ending in blunt spikes. Elongated pseudocyphellae near axils. 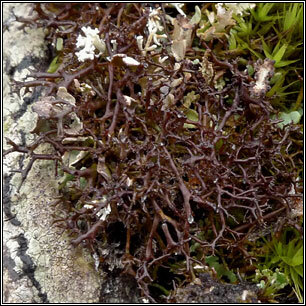 Apothecia rare. 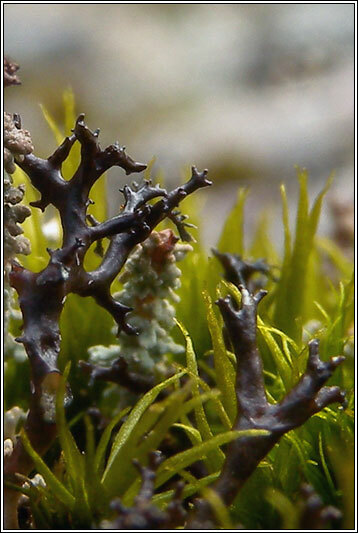 Heaths, acid sand dunes, sometimes amongst mosses. Mainly occurs in upland habitats, most frequent in N of Ireland.